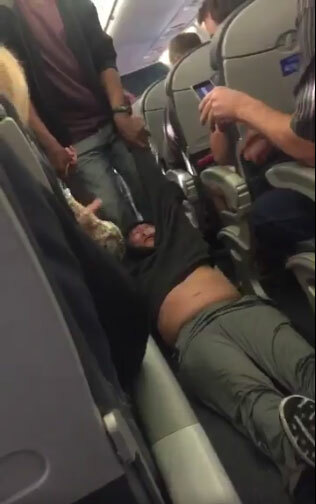 Welcome to the friendly skies of United Airlines, where you can pay for a ticket, take your assigned seat, mind your own business waiting for the plane to take off and then be violently dragged out of your seat by armed government goons who smash your face and humiliate you in front of everyone. This is America in the post-9/11 era, where civil liberties have been obliterated and the sheeple have been so indoctrinated into subservience that no one came to the aid of this man who was being assaulted and kidnapped by police (see shocking videos below). How did this happen? Many air travelers don’t realize that airlines overbook nearly every flight, knowing that some people never show up for the flight they’ve booked. Every once in a while, a statistical fluke emerges where everybody shows up, meaning the flight is “overbooked” and somebody has to give up their seat. This is usually achieved by offering passengers free lodging and future flight credits in order to entice volunteers to give up their seats. But in this case, no one wanted to give up their seat, even when the reward credit was increased to $800. 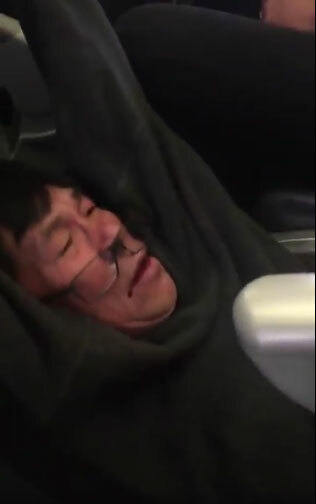 So United Airlines did what all oppressive regimes do in a police state: They called in the government goons to literally rip this innocent customer out of his seat and slam his face into the adjacent seat, cutting his lip while he’s screaming and kicking. The man was a doctor who needed to see patients the next morning and simply didn’t want to give up the seat he already paid for. 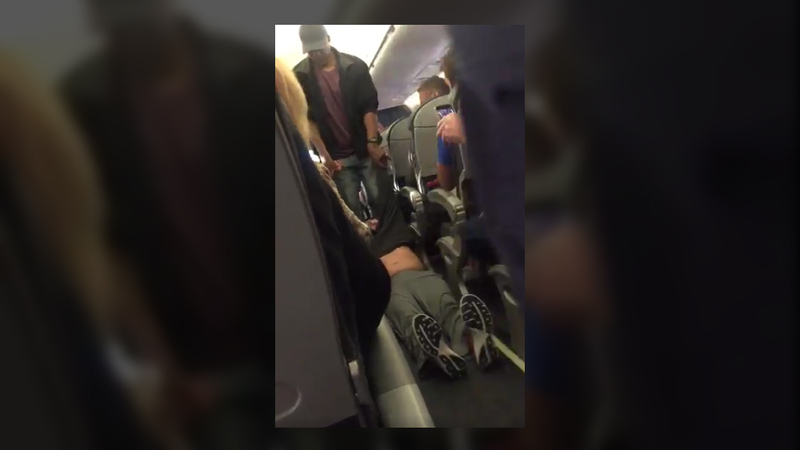 This is how United Airlines treats its paying customers. This is now accepted corporate behavior in the police state known as Amerika. 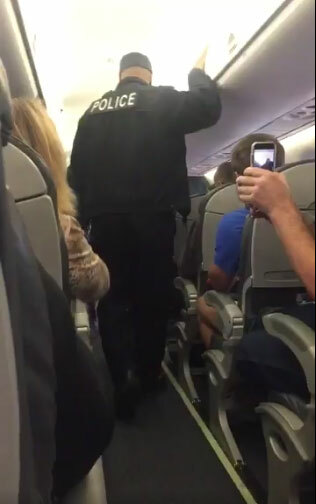 What’s even more astonishing in all this is how obediently all the other passengers just sit quietly and say nothing (except for one courageous woman who screams at the cops), even knowing that they could have just as easily been targeted for the same treatment. Quite literally while the police assault, badger and kidnap this paying customer, everybody just pulls out their mobile phones to record it instead of stopping the police from committing this obvious crime. Citizens are now sheeple in the American police state. Do what you’re told, even while the government assaults your fellow citizens for no reason whatsoever. Boycott United Airlines. And let’s all hope this physician sues the airline for a billion dollars and wins. Maybe it’s time for United Airlines passengers to start fighting back against this insane abuse of civil liberties. Can you imagine the outcry on the Left if this randomly chosen passenger had been African-American? 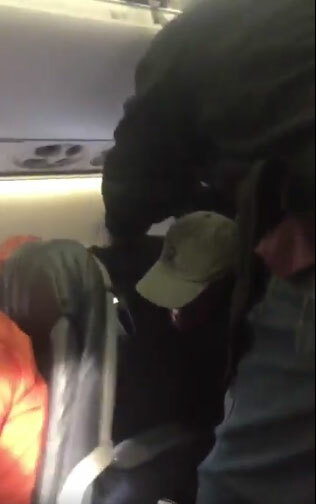 Would they have dragged a black woman off the plane kicking and screaming for her life? Next articleIs Coconut Oil Good for Your Skin?